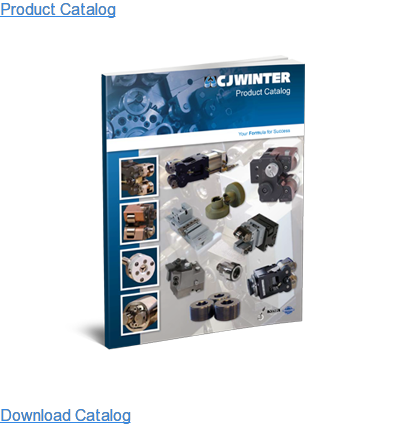 CJWinter® has been making quality Davenport Tool Holders for over 25 years. No one can match our experience or prices on the most popular tool holders on the market today. And our delivery times are unbeatable! Browse through our tool holder selection below — click on the holder for more information. This holder is the non-releasing type. Provision is made for using a 5/8” diameter bushing 7/8” long. Body length: 1-5/8”. 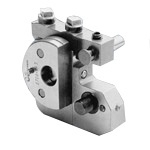 Solid-type drill holder can be used either rotating or stationary. Provision is made for using a 5/8” diameter drill bushing 7/8” long. Adjusting screw is provided in shank to prevent drill from slipping back. Body length: 1-1/8”. A drill holder with provisions for a 5/8” x 5/16” blade which is set on a 45° angle for chamfering. 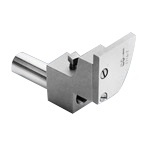 It can also be supplied with an auxiliary facing tool plate which takes a 5/16” x 3/8” blade for finish facing. 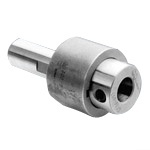 Provisions are also made for using a 5/8” diameter drill bushing 7/8” long. Body length: 1-3/4”. This holder is designed for the first position. A hardened stock stop plate is furnished. Provision is made for using a 5/8” diameter drill bushing 7/8” long. Adjusting screw is provided in shank to prevent drill from slipping back. Body length: 2-3/16”. Solid type drill holder can be used either rotating or stationary. 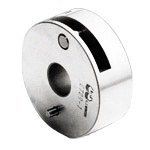 Provision is made for using a 5/8” (15.88 mm) diameter drill bushing 7/8” (22.23 mm) long. Adjusting screw is provided in shank to prevent drill from slipping back. Body length: 11/8”(28.58 mm). A solid drill holder with provision for blade to be used for facing. Provision is made for a 5/8” (15.88 mm) diameter drill bushing 7/8” (22.23 mm) long and a 3/8” (9.53 mm) square tool bit. A stock stop plate is furnished for use in the first position, which will permit the use of a form tool in the front cross slide. Holder can also be used in any other position. Adjusting screw in shank is provided to prevent drill from slipping back. Body length: 2 7/16” (61.91 mm). 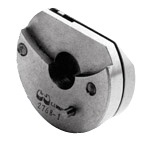 2726-R-SA: The capacity of this sizing tool holder is .075” to .500” (1.90 to 12.70 mm) diameter, 3/4” (19.05 mm) wide. It uses a circular tool and roll, which are made to suit the work. The tool and roll swing to insure same size work from all spindles. Sensitive adjustments are provided to obtain a high degree of accuracy. Width of holder is 13/8” (34.93 mm). 2726-R-SA: Same as 2726-R-SA except capacity is .262” to .812” (6.65 to 20.62 mm) diameter, 3/4” (19.05 mm) wide. Width of holder is 13/8” (34.93 mm). 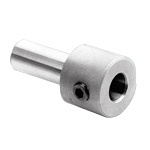 This is a single knurl holder for knurls 5/8” (15.88 mm) diameter, 1/4” (6.35 mm) wide with a 1/4” (6.35 mm) hole. Width of holder is 3/4” (19.05 mm). 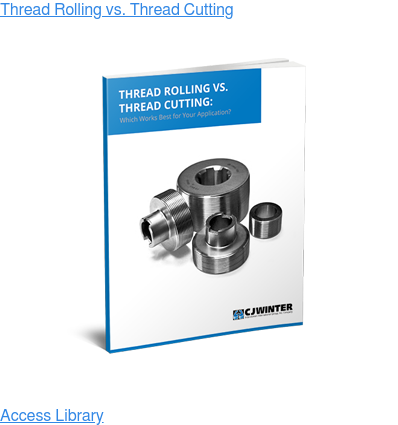 This holder uses two knurls for either diamond or straight knurling. 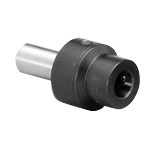 Knurl roll sizes for this holder are 5/8” (15.88 mm) diameter, 1/4” (6.35 mm) wide with a 1/4” (6.35 mm) hole. Width of holder is 11/4” (31.75 mm). This holder is also used for straightening. This holder uses two knurls for either diamond or straight knurling. 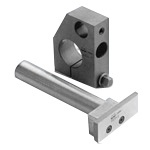 Knurl roll sizes for this holder are 3/4” (19.05 mm) diameter, 3/8” (9.53 mm) wide with a 1/4” (6.35 mm) hole. Width of holder is 1 1/4” (31.75 mm). This holder is also used for straightening. 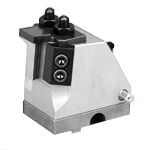 This holder will accommodate all standard cut off blades from 1/32” (0.80 mm) to 1/8” (3.18 mm). 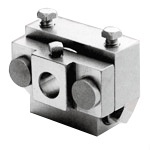 The overall width of this holder is 5/8” (15.88 mm). 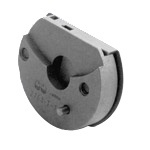 This holder will accommodate all standard width T blade cut off tools. 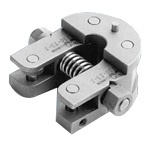 This stock stop attaches to a special tool clamp ring which is supplied. The assembly travels with the tool spindle. 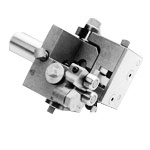 It is used generally with hollow mill in the first position. Furnished shank is 5 1/4” (133.35 mm) long to be turned to length required to suit hollow mill used. 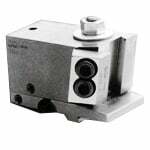 This holder is an adjustable drill holder with provision for a blade to be used for facing. Drill can be centered independently of blade. Provision is made for using a 5/8” (15.88 mm) diameter drill bushing 7/8” (22.23 mm) long and a 3/8” (9.53 mm) square tool bit. A stock stop plate is furnished for use in the first position which will permit the use of a form tool in the front cross slide. Holder can be used in any other position. Adjusting screw in shank is provided to prevent drill from slipping back. Body length: 2 7/16” (61.91 mm). Turning capacity of the box tool is 9/64” (3.57 mm) to 11/32” (8.73 mm) x 2 1/2” (63.50 mm) long or 11/32” (8.73 mm) to 1/2” (12.70 mm) diameter x 1 1/2” (38.10 mm) long. 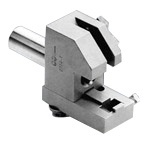 Provision is made for a 3/8” (9.53 mm) square tangent tool which can be set .015” (0.38 mm) ahead of the rolls or .110” (2.79 mm) behind the rolls. 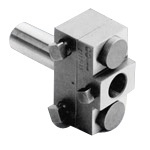 The tool holder is designed for the first position, being equipped with a stock stop, but can be used in any position. Two sets of roller rests, mounted on swinging arms are furnished. Shank is drilled for 3/8” (9.53 mm) center drill. Body length: 2 1/8” (53.98 mm). 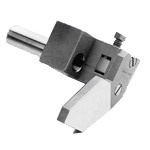 This 1st position dovetail tool holder is designed for heavy cuts. 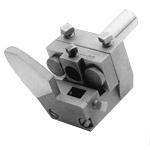 This holder has a 10º face angle so the cutting tool is ground with a 10º angle plus the desired rake angle. The tool is set at approximately 10% of the smallest diameter ahead of center (above center). An American standard dovetail blank group #2, with a 1/4-20 NF tapped hole for a set screw is used. This screw takes the thrust as well as making the tool easy for adjustment. The same basic design as our 3060-SA with a 10º face angle with two tie down bolts for extra stability.